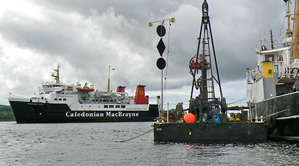 HOLEQUEST provided the ground investigation services for the Caledonian Maritime Assets Ltd Ferry Terminals upgrade, at Kennacraig on the West Coast of Scotland and Port Ellen on the Isle of Islay. 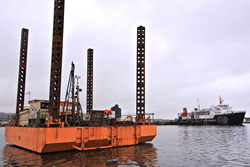 The works were supervised by Halcrow Group Ltd and consisted of both land-based and marine boreholes. 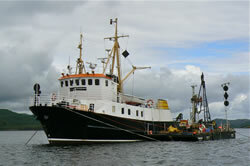 The works at Kennacraig were undertaken on shore around the present terminal and causeway. The marine boreholes were peripheral to the existing ferry berth and causeway, with additional boreholes for the proposed berthing fairway. 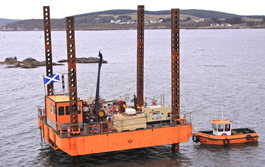 The works at Port Ellen were predominantly marine boreholes, peripheral to the existing ferry berth with additional boreholes for the proposed berthing fairway.